Having now lived in Australia for 2 months, we are experts on kangaroos. So, for those outside of Australia, here are a whole bunch of facts and trivia about kangaroos. 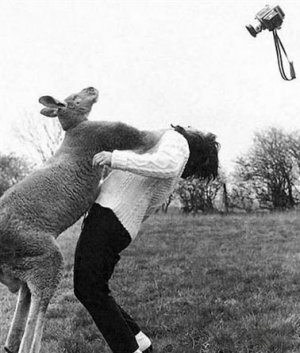 For those of you in Australia (or anywhere else who actually know anything about kangaroos…) stop reading now! Yes, they might look nice, but look closely at their hands: those claws could rip you open! Maybe that's why they wear boxing gloves in fights. Kangaroos are cool. And they are pretty common. We see them three, maybe four times, each week. They are very abundant on the CSU campus. We have also seen them on various drives around the region, especially on the drives we have done to Bathurst. And though Australians are a bit complacent about them, they are really cool. They are cute, and they look really smart and cuddly. Kangaroos are marsupials. There are about 300+ different marsupials in Australia. These include wallabies and possums, both of which we have seen. There are 4 common kangaroos – the Eastern Grey, the Western Grey, the Antilopine (sort of “the Northern Grey” equivalent), and the Red. 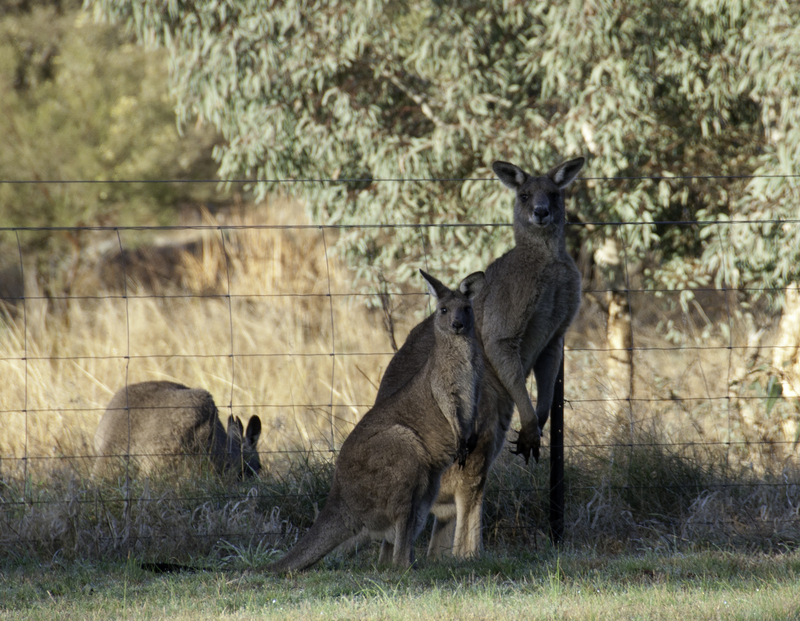 The kangaroos in the Riverina area are Eastern Greys. The average male stands about 2 m high and weighs about 65 kilos. The biggest kangaroo is the Red. We haven’t seen one of those yet…have to go to another part of the country. Dan really wants to get near to a kangaroo for some good close-up portraits, but is afraid of what might happen. Kangaroos don’t like having their pictures taken. Though we have managed to get a few shots (interspersed throughout this post), they seem to sense when we have a camera at hand and know that is when to hide. When we are camera-less, they are everywhere. We think that this sensitivity to cameras, however, will aid us in not hitting one with the car – if we are driving through a forested area at dusk or dawn, when they are most active, we will just make sure the camera is in the car. They will avoid us. Kangaroos like to sleep at the side of the road. On our most recent drive to Bathurst, we probably saw 30 of them, laying in the roadside…or at least that is what we like to tell ourselves : ( In reality, kangaroos don’t have a very good track record with highways. Drive through the main highways in regional NSW, and you can’t go much more than 10 minutes without seeing one that was on the losing end of a car crash. But they seem to be so abundant that this doesn’t really concern anyone. 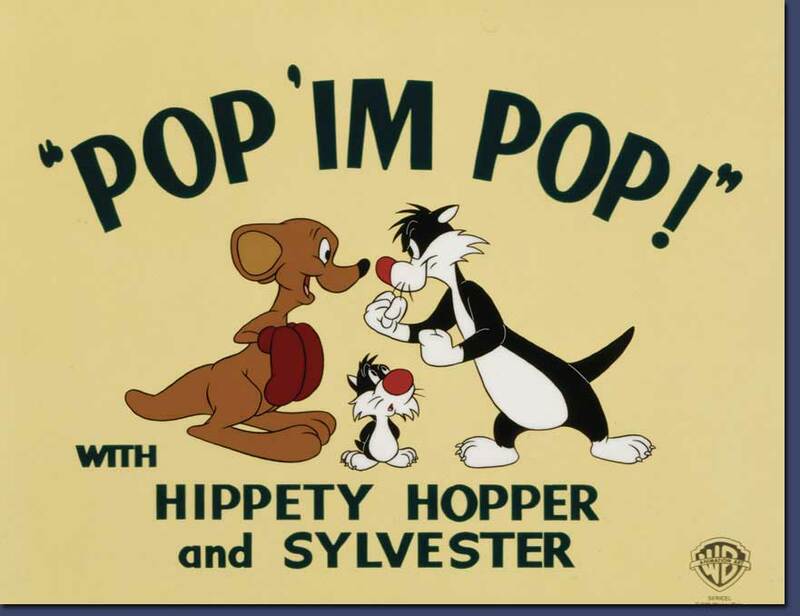 Anyone who likes Looney Tunes will remember that Hippety Hopper got into Sylvester's basement in one cartoon. This is why Australian houses don't have basements; if they did, the kangaroos would have a place to hide. Kangaroos smell really horrible. We can’t say that definitively, as we haven’t really been close enough to any to smell them, but one day when Dan was cycling south of the city, he passed by one ‘sleeping’ by the roadside. It had obviously been there for a couple of days, and though he was riding by at more than 20 mph, the reek was horrendous. Even after getting home and showering, he could still smell it, as though it had permeated his sinuses. Hopefully the live ones smell a bit better. Moral of this story: if you are driving by a dead kangaroo, roll up the windows. Kangaroos taste good. We’ve had kangaroo metwurst sausage, and kangaroo mince, so far. It is a very lean, red meat, similar to venison. Yum! It isn’t easy to get though; there is mince available, and roasts, but we really want steaks. For some reason, Aussies don’t typically eat kangaroo. We don’t get that! Kangaroos can’t move backwards. This might or might not be true. There is some rumour that the reason the Australian coat of arms has a kangaroo on one side and an emu on the other is that they are both animals that can only go forward, and that is then used a symbol of progress. But it could all just be a bunch of crap. MO, if you’re reading this (against our express wishes in paragraph one! ), perhaps you can enlighten us (and everyone else reading this post)? Wallabies are similar to kangaroos. They look very much alike, but wallabies are smaller and darker. And they are even more averse to having their photos taken. We have seen a couple of them (they live on Yindyamarra hill on CSU campus), but can’t get a photo no matter how hard we try. Maybe they are afraid of having their souls stolen. Kangaroos look like stumps. The Eastern Grey kangaroo is grey. The most common tree in this region is the river gum, which is a kind of eucalyptus tree that sheds its bark; so when they are older, they are about the same colour as a kangaroo. This makes it very hard to spot a ‘roo in the forest. It also makes it hard to photograph them if your camera is on autofocus, because it can’t pick out anything distinct. This entry was posted in Australia, birds, cats, CSU, emu, food, kangaroo, wagga, wallabies, wildlife. Bookmark the permalink. I don’t know about the walking backwards thing, but both the Kangaroo and the Emu are vicious when they want to be! Maybe that’s why they’re on the Coat of Arms. Yeah, the cars probably didn’t fare too well either – that roo bar thing on the utes is pretty entertaining to look at! But Canadians aren’t used to seeing so many huge animals by the side of the road. If something that big started dying in such numbers, they’d build fences and bridges. Yes, seriously. They do it for bears in the parks. Not that the bears know what they are, but at least there is an acknowledgement that hitting animals with cars is a problem. Here it seems like kangaroos are no different than potholes. Many older Australians won’t eat kangaroo because they regard it as dog food> My guess as to why it is easier to get kangaroo sausages and mince rather than steak is that it is difficult to cook. The meat is so lean, if you leave it on even a fraction too long and it’s inedibly dry. THe one time I tried cooking it, it ended up like boot leather, so I tend to only east it in restaurants – especially as Harriet doesn’t realy go for the taste. I’m happy to report that live kangaroos have an entirely inoffensive smell – haven’t you patted one yet at a zoo or koala park? You actually left out what I think is the most interesting kangaroo fact: that female red kangaroos can control their own reproductive cycle. In drought conditions, their bodies put out hormones that put the embryo into a kind of suspended animation, where they don’t develop. Then, when conditions are good, they can stage the development of the embyos to have up to three joeys sequentially in a single season, at the same time producing different kinds of milk to meet the needs of joeys at different stages in their development. I believe that trying to understanding how they do this drives fertility researchers nuts! Unfortunately, it also means that when farmers move into an area and bore for water, they inadevertantly also cause a roo population explosion. thanks Michael, the reproductive control of the red kangaroo is very interesting. Also, joeys, I’m a Canadian who just learned a new term. Thanks!